dia organizations have lodged a joint appeal with the Ethiopian government for the unconditional release of imprisoned Ethiopian journalists. The appeal by the two leading international media organizations, International Press Institute (IPI) and World Association of Newspapers and News publishers (WAN-IFRA), urged the government to release five journalists imprisoned under the country’s anti-terrorism laws, and to immediately review statutes that have been used to convict opposition politicians. IPI’s and WAN-IFRA’s joint appeal capped four days of discussion and deliberation with journalists, lawyers, media executives and members of the Ethiopian government and the African Union ahead of the African Media Leaders Forum(AMLF), which was held earlier in November. Alison Bethel McKenzie, the executive director of IPI said “Article 29 of Ethiopia’s constitution defends the right to free expression and exchange of information and we urge the government to make sure that it upholds these rights”. Commending the Ethiopian government’s efforts towards improving the lives of its people, McKenzie reiterated IPI’s firm stand on the belief that a free press will not only contribute to these efforts, but are also crucial to economic development and building a democratic society. She implored the government to prove its commitment to defend press freedom by releasing the jailed journalists. Adding that IPI and WAN-IFRA are committed to helping improve the professionalism, quality and independence of journalism in Ethiopia. The IPI and WAN-IFRA team met with more than 25 editors, journalists, lawyers, politicians and bloggers as well as associates of the imprisoned journalists. 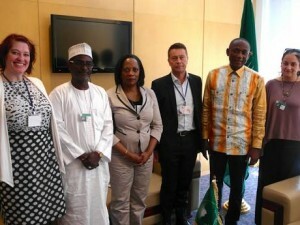 The delegation also held meetings with the ambassadors of Austria and United States; a senior African Union official; an Ethiopian lawmaker; and Redwan Hussien, Minister, Government Communication Affairs Office, who engaged in a frank, two-hour discussion with IPI and the members of the African Media Initiative. Representatives of the IPI and WAN-IFRA expressed hope that the meeting with Hussein is the beginning of constructive dialogue on critical press freedom issues in Ethiopia. Regrettably, Prime Minister Hailemariam Desalegn’s office did not respond to repeated requests for a meeting. But in an address before delegates of the AMLF, Desalegn said his government has plans to increase the capacity of all elements of the media and is encouraging the media to establish its own self-regulatory mechanisms. “There is always room for improvement and as a developing country, we are open to suggestions on improving our media industry,” said Desalegn, making no mention of the jailed journalists. IPI/WAN-IFRA are reported to have been denied access to the imprisoned journalists. • The Ethiopian government to release all journalists convicted under the sedition provisions of the country’s 2009 anti-terrorism laws. These journalists include Solomon Kebede, Wubset Taye, Reyot Alemu, Eskinder Nega and Yusuf Getachew. 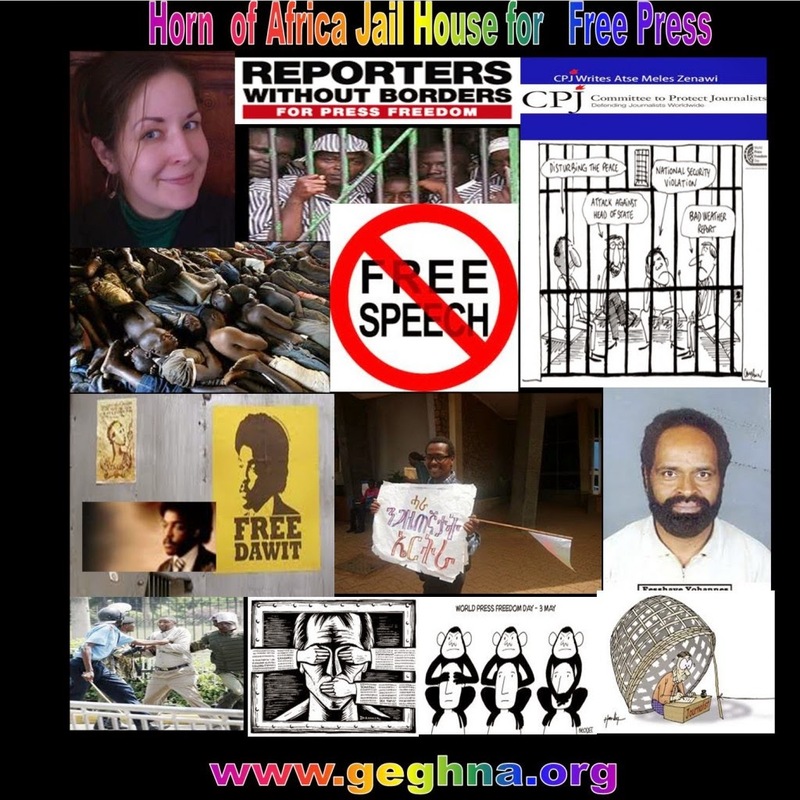 • Ethiopia’s often-fragmented and partisan newspapers to step up cooperation to improve professionalism and independence, and to form a unified front to defend press freedom. • Publishers and editors to also increase cooperation to reduce expenses, including joint investment in media training, distribution and infrastructure. Such cooperation would foster a freer and more conducive environment for competition in news gathering and reporting. In addition, IPI and WAN-IFRA agreed to help improve the quality of political reporting ahead of scheduled parliamentary elections in 2015 and urged donor organisations to follow suit. While the IPI/WAN-IFRA representatives agree there is a broad commitment among journalists to electoral coverage based on sound, in-depth reporting, there are concerns about the level of professionalism.